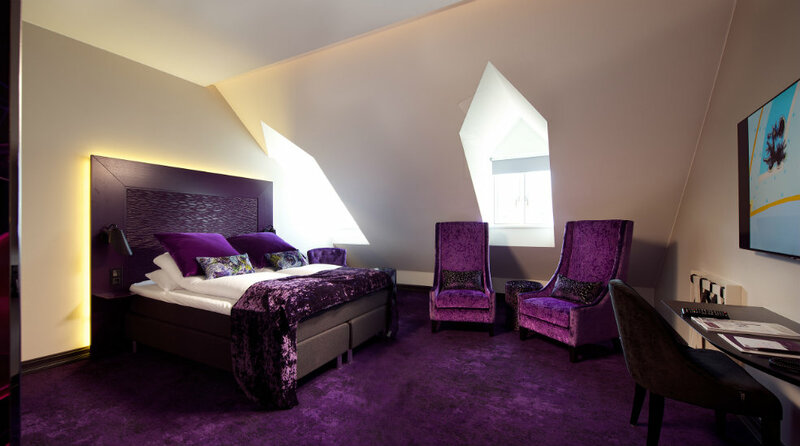 Hotel Oleana’s 97 hotel rooms and signature suites are individually designed. 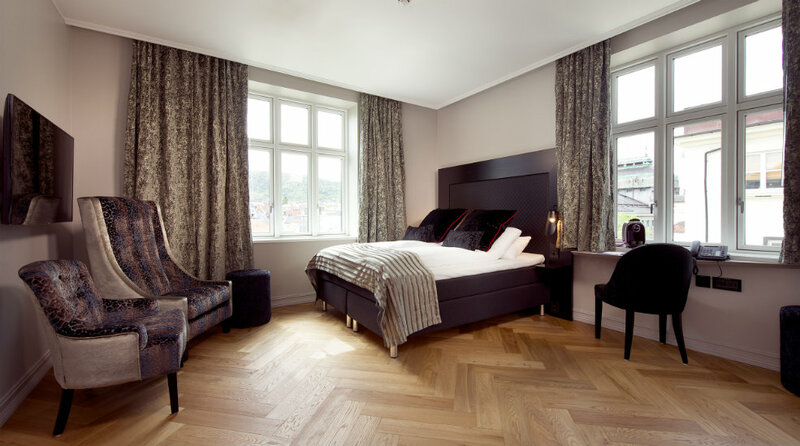 They are all inspired by the colourful Bergen violin virtuoso, composer and 19 century`s superstar, Ole Bull. You can relax and revel in bold designer furniture, fun and burlesque artwork, features like open rain fall showers and soaking bath tubs, and luxurious amendments made from natural ingredients. 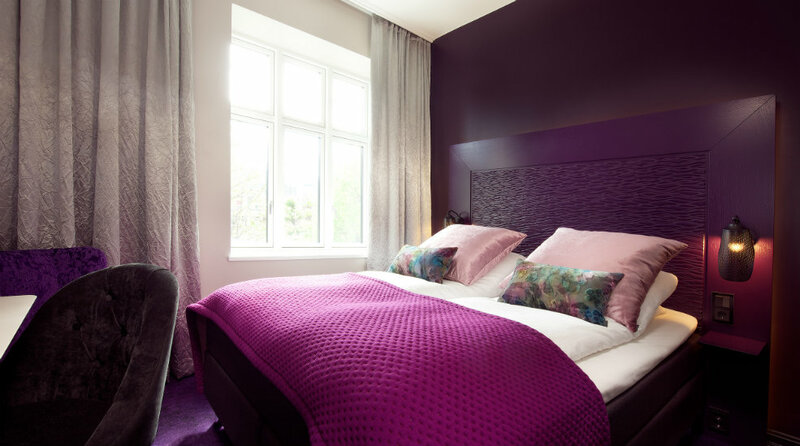 Of course, we have super comfortable beds and do our utmost to give you a good night’s sleep. 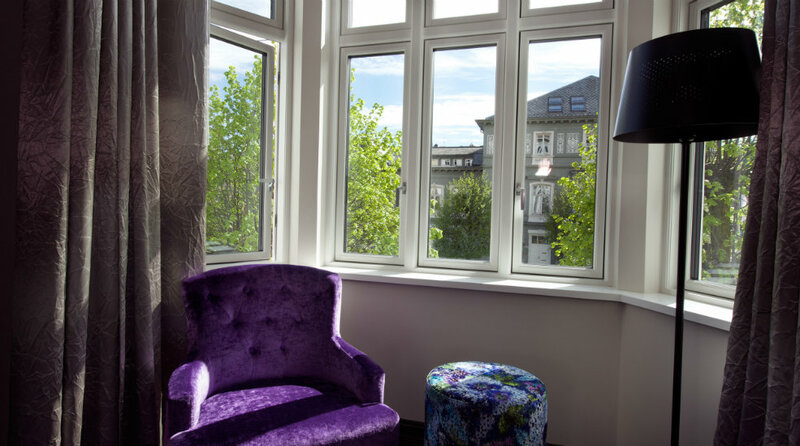 Next morning you will be ready to take in the city, right on our doorstep. We Care: As part of our We Care project, guests can choose to give a donation to UNICEF instead of room cleaning. The funds go to children victimised by trafficking, so they also can have a good night’s sleep. Our standard double rooms (approx. 15 – 26 m2) offer either a double bed (160 cm) or two single beds (80 cm). 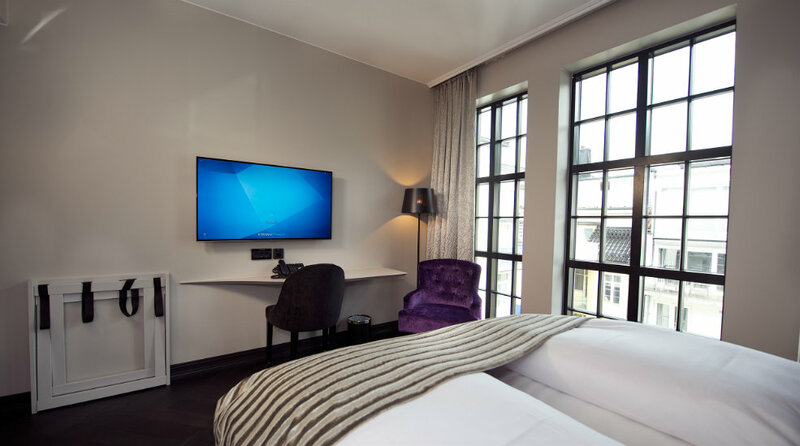 Rooms contain a small wardrobe, desk with chair, flatscreen TV, armchair, minibar and a full-length mirror. 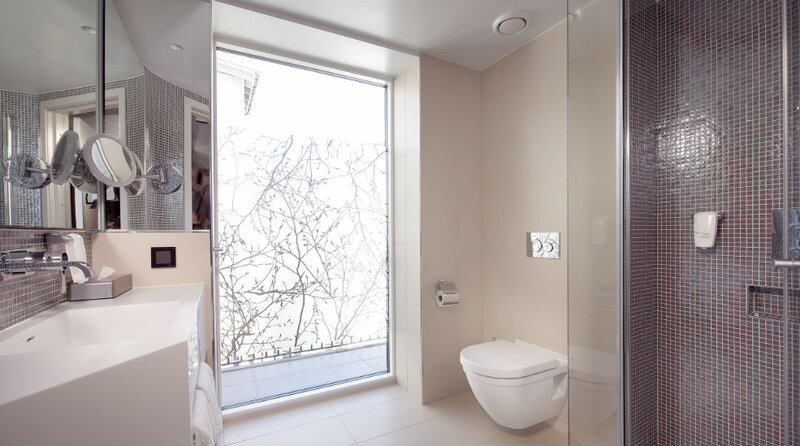 All our bathrooms contain a hair dryer and waterfall shower. 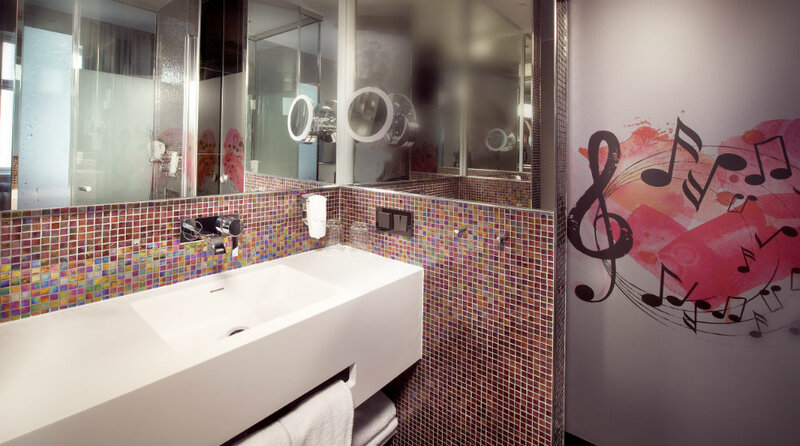 Some of our upgraded rooms offer a bath in addidition to a rainfall shower. Some standard rooms connecting to deluxe rooms. Views of the vibrant Ole Bulls Plass & surrounding area or Bergen’s famous Floyen mountain. 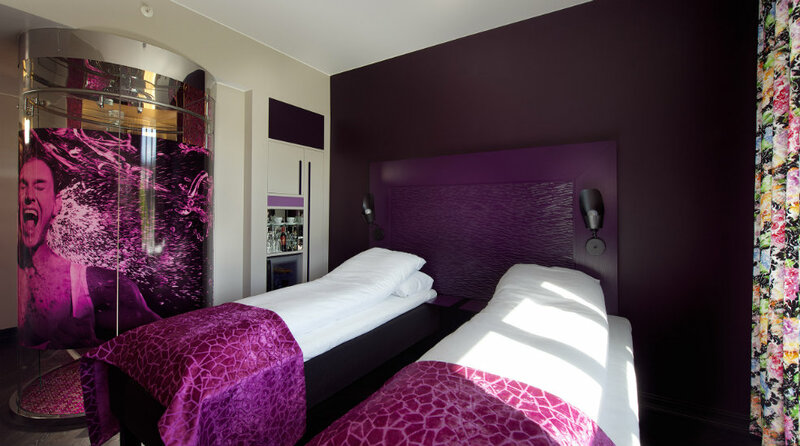 Our superior double rooms (19–26 m2) offer a double bed (150–160 cm wide) or twin beds (2×80 cm). 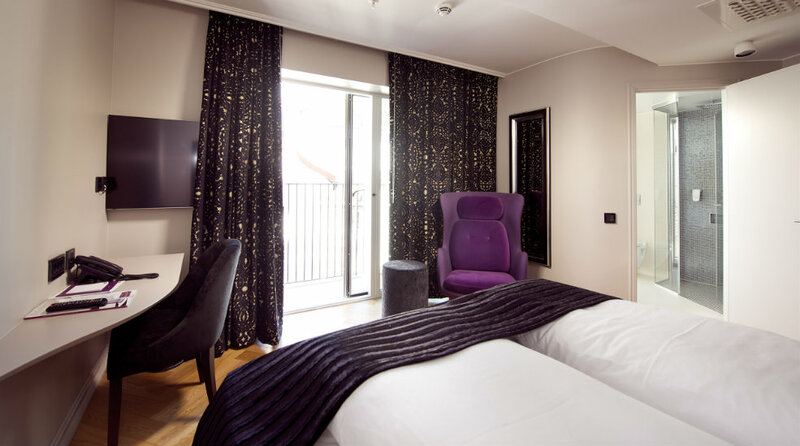 Rooms contain a small wardrobe, desk with chair, flatscreen TV, armchair, minibar and tea/coffee making facilities. 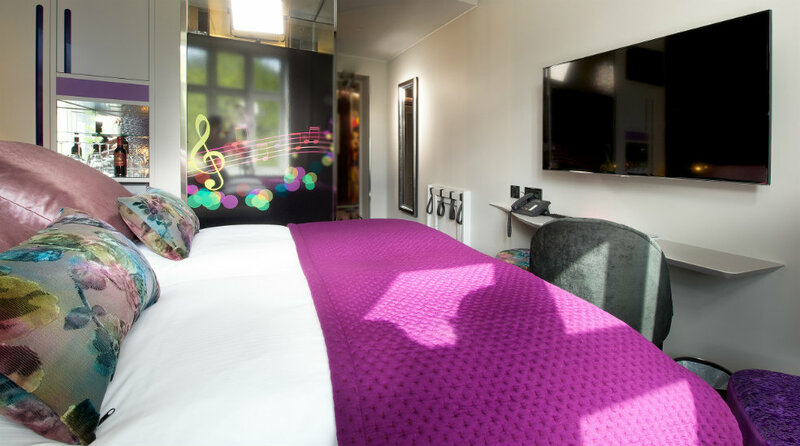 The rooms can also fit a second bed or baby cot, rooms can be connected. Bathrooms offer courtesy use of a hair dryer, shower gel, shampoo, conditioner and body lotion. 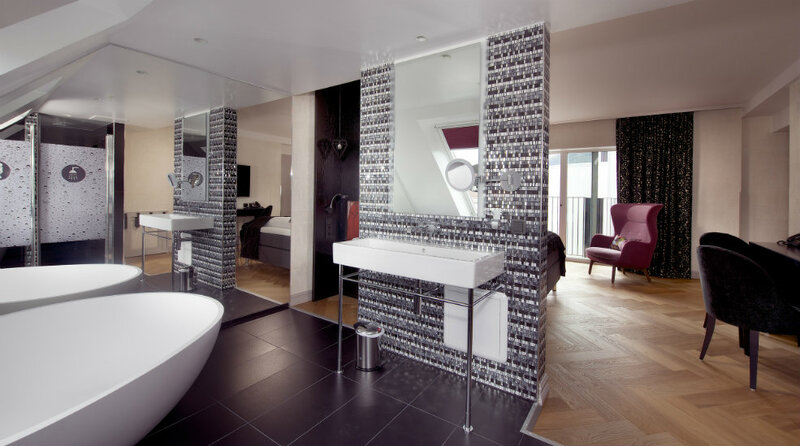 All rooms contains waterfall style showers or a designer bath. 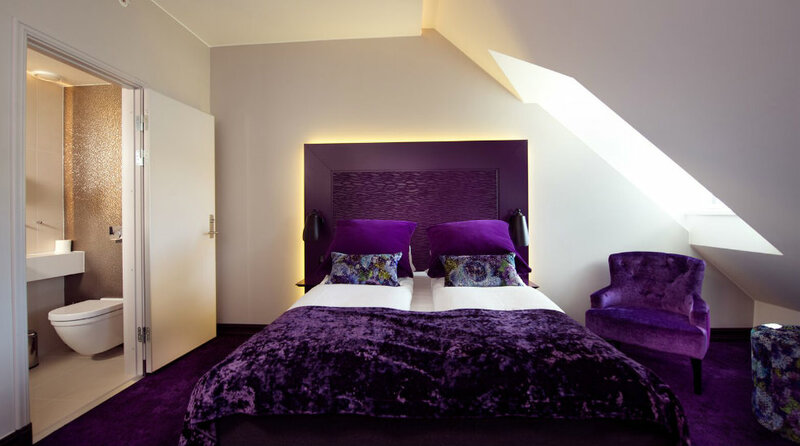 Our Deluxe Double rooms (15–26 m2) contain a luxurious double bed (either 150–160 cm or 180 cm). Rooms contain a small wardrobe, desk with chair, Flatscreen TV, seating area, minibar and coffee/tea facilities. Some rooms also fit an extra bed or baby cot, rooms can be connected. 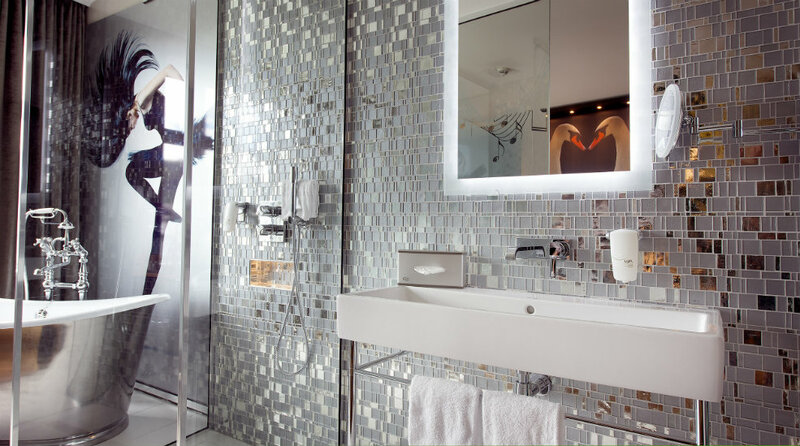 Bathrooms contain a waterfall style shower, hair dryer, shower gel, shampoo, conditioner and body lotion. Views of the vibrant Ole Bulls Plass & surrounding area or Bergen’s famous Floyen mountain. Several rooms with a small balcony. 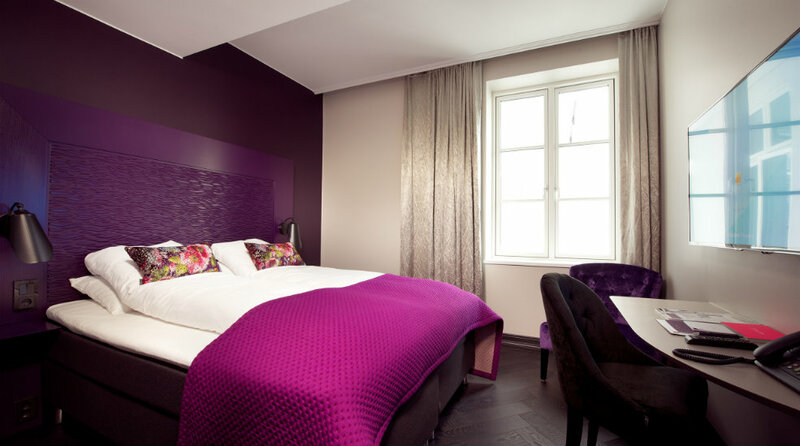 Our one bedroom suites (29–58 m2) contain a deluxe double bed (160 cm – 180 cm). Rooms contains a wardrobe, desk & chair, Flatscreen TV & seating area. Minibar, coffee/tea making facilities, bathrobe and slippers. Rooms may fit one extra bed or cot. Bathrooms contains hair dryer, shower gel, shampoo, conditioner, lotion, shaving kit & toothbrushes. Waterfall style shower & stylish bath. Views of the vibrant Ole Bulls Plass & surrounding area or Bergen’s famous Floyen mountain. Some suites with a balcony. Hotel Oleana’s fabulous breakfast with around one hundred choices is always included. We use sustainable ingredients, ecological and Fair Trade coffee, and offer local food whenever we can. Bring your trainers! Wether you prefer hiking the mountains, golfing or taking a swim outdoors or indoors, we have alternatives ready for you. Or would you like to burn calories at the gym close by? Ask our helpful staff at front desk. Enjoy a lovely SPA treatment at gorgeous Anne`s Hudpleie og SPA just across the street. You should plan and book ahead at this popular SPA, so drop us a line and were happy to help.